Throughout June, how’s this for an offer…….!!! 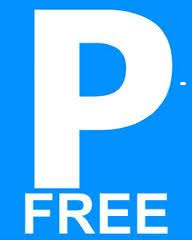 Spend £20 in LECKENBY’S LICENSED TEAROOM and receive FREE PARKING on the Mill Gate Car Park! Well, all you have to do is ask for a receipt should you spend £20 or more, and take it with your Car Park Disc to Customer Services 20 yards away on Minden Parade, and you will receive another token for FREE PARKING that day. Delicious Food, Great Service and Free parking throughout June. What more could you ask for!! !